When I started making my crazy quilted hexagon quilt, I had no intention of ever typing the instructions so my measurements are in both metric and imperial. 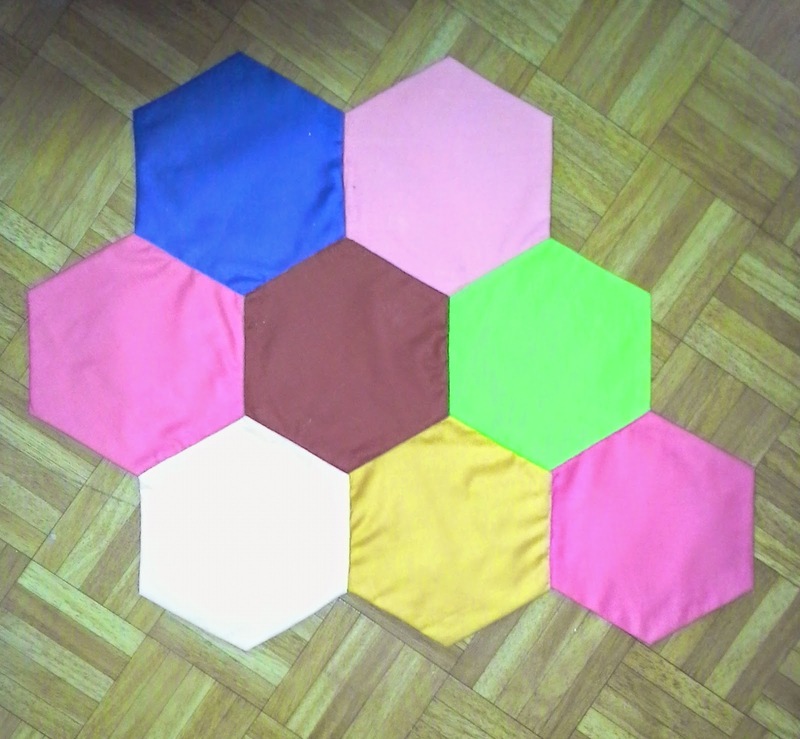 The six sides of my finished hexagon measure 11cm or 4 1/2 inches long, from point to point it it measures 22cm or 8 5/8 inches across and from straight side to straight side, it measures 19cm or 7 1/2 inches. 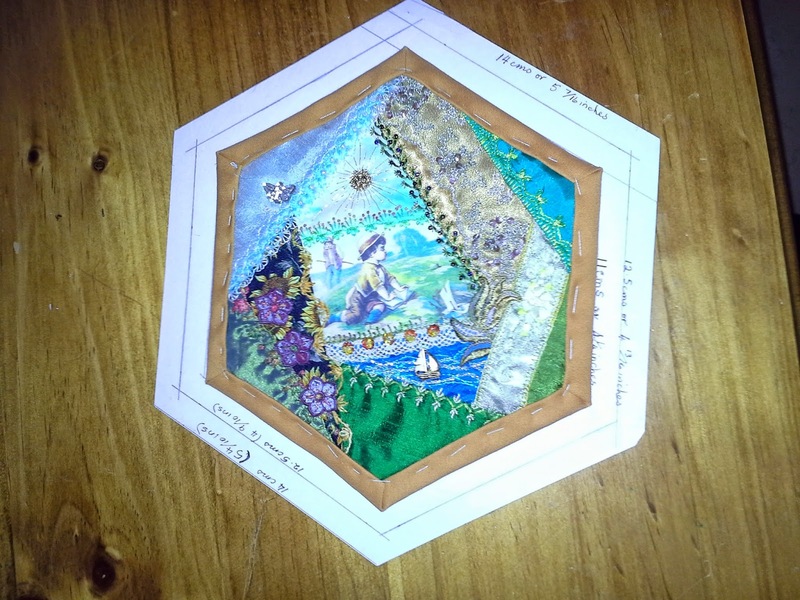 You will need to cut one cardboard template the exact size that your finished hexagons are going to be. It doesn’t matter what size they are, the method of putting them together is exactly the same and those two outer lines will always need to be 1/2 inch apart. 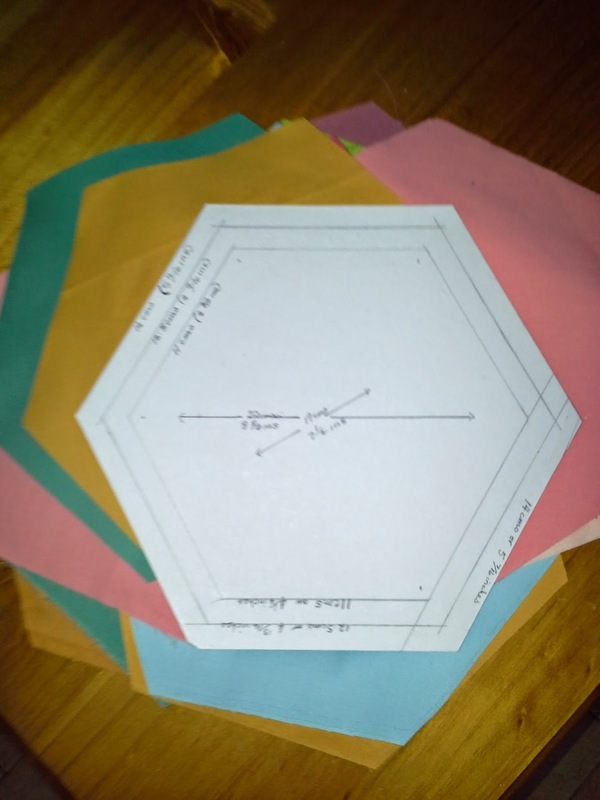 Take another piece of cardboard and draw around your original hexagon template, Draw a line along all sides 1/2 inches out from that and another line 1/2 inch out again. This is the size of your backing fabric pieces. 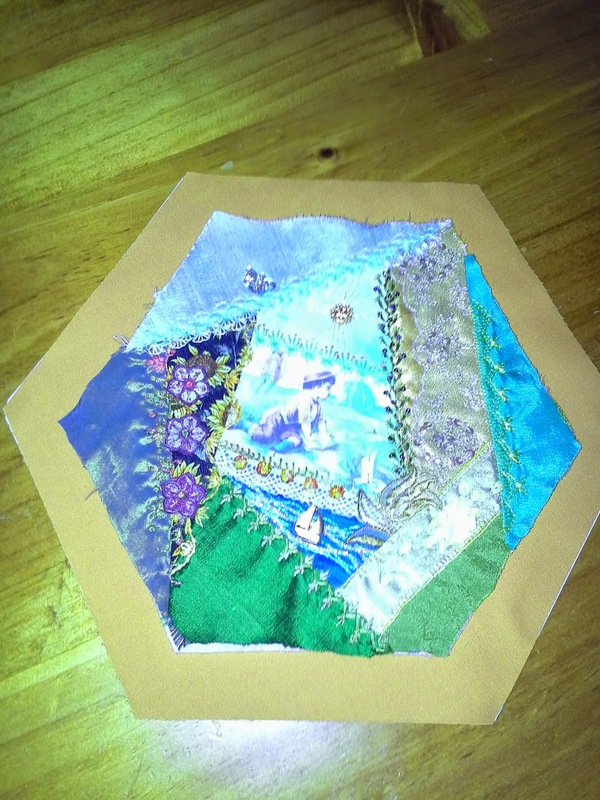 Cut your wadding and your base fabric hexies from the smaller template. Because I wanted a “silkie” or Victorian style image printed on fabric in the centre of each hexie, I printed them out first and cut them out leaving a white area around the edges which will be covered by cq fabric and embroidery. I machine stitched one silkie roughly in the middle of each hexie but only stitching down one side, just enough to secure the image to the fabric base. 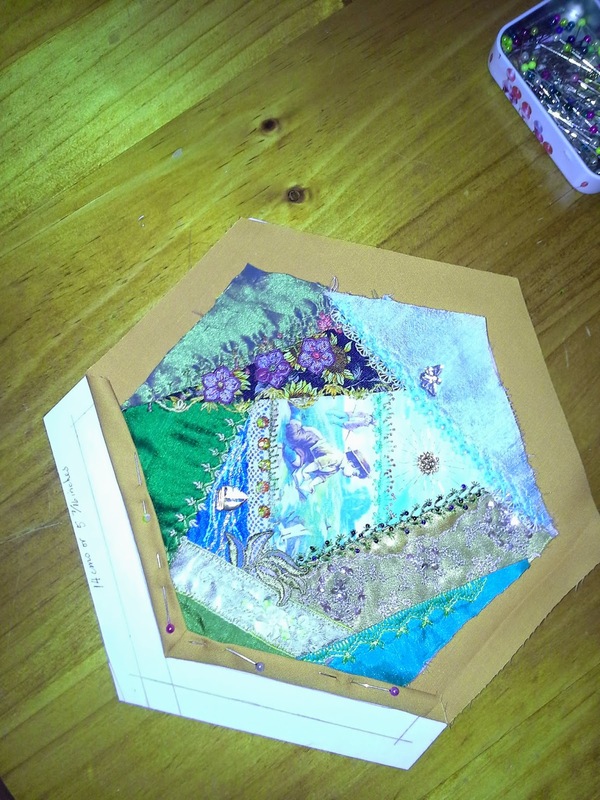 Once your crazy quilting and embellishing is finished your can begin to put the quilt as you go hexie together. I usually place each hexie right side down on a towel and give it a light press with a moderately hot iron. From experience and valuable hindsight I avoid ironing plastic beads or flowers—the ironing is mainly just to smooth out any wrinkles caused by the embroidery. 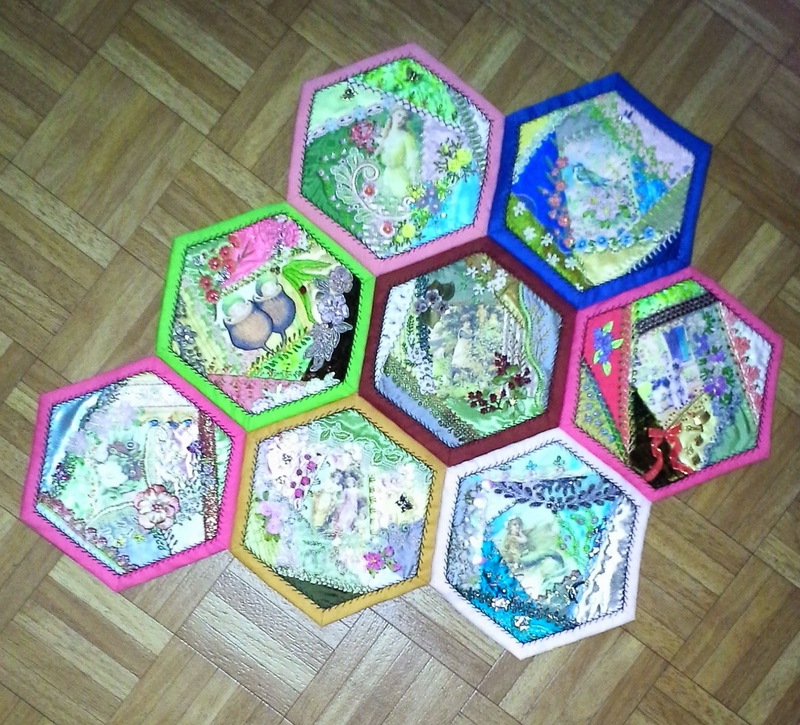 At this point, time spent in preparation and attention to detail is crucial to getting the hexies to fit together neatly. This is one area that I don’t rush, it’s not worth hurrying only to have to unpick it later because the hexies are not exactly the same size. 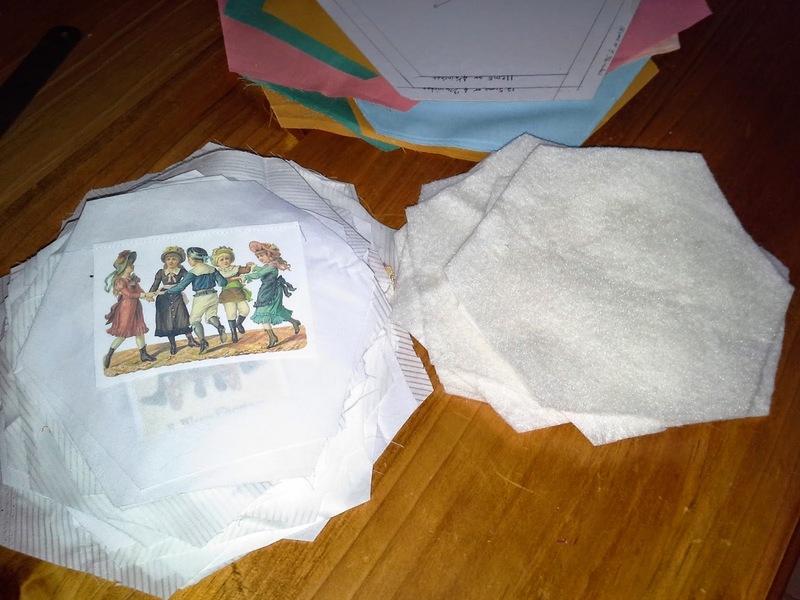 Place the large cardboard template on a flat surface then lay the plain backing fabric on top and the wadding in the centre of the backing piece. Finally lay the crazy quilted hexie on top of the wadding, matching all sides. Turn one side of the backing over to the first line on the template and then make a second turning so that the folded edge is level with the inner line. Pin or clip to secure. Repeat this around all six sides taking a lot of care where the mitres meet and making sure that both edges are exactly level with one another. Sometimes I have had to go around and around several times, changing the pins and the fold lines and keeping the edges exactly on the ruled lines on the template. Before I attempt to slip-stitch the turnings down with invisible stitches, I actually tack or baste the hems in place—one of the few occasion when I bother to baste—because I can imagine the thread getting looped around one of several pins with each stitch. Note that the top point of this hexie is going to have to be unpicked and tweaked some more until it sits exactly on the line—it is still a bit high. While I am working the slip-stitching, I take three or four invisible stitches up the seams at each corner to hold them secure. I iron the edges of each hexie again to flatten the turnings and finish off with the black Feather Stitching. Once the hexies are done, the wadding is sandwiched in the middle between the crazy quilted upper layer and the backing pieces so the hexies are ready to be top-sewn together on the wrong side and this is when it is obvious if one of the hexies is larger or smaller than the others.........here is the front and back views of my first eight hexies. 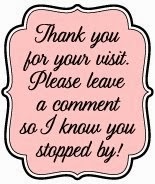 I will add them one at a time as they get finished until the quilt is the desired size to fit my bed.